We’ve all heard horror stories of bad property managers. If you’re lucky, you’ve never had to deal with one, or worse, have one work for you. If you have, you know the importance of hiring one to work for your organization or property. Finding a great property manager will result in great facilities, happy tenants, and a stress-free relationship with your employee. But finding one of these candidates is difficult, and vetting them is even harder. This is why the interview process plays a huge role. Read through these three property manager interview topics to fine-tune your interview process. Touching on them could mean the difference between a great hire or finding yourself interviewing again in the near future. You’ll want to craft your interview in a way that touches on a variety of the person’s experiences and skill sets. The wording of the questions is important, but more important is the fact that you receive the relevant information from your interviewee. By touching on each of the below topics in your interview process, you will be sure to extract important information about each potential job candidate. 1. Have They Proven Their Ability? The standard of work that you have is totally on you, so make sure that you get a feel for whether or not the person you’re interviewing has relevant experiences that would be close or equal to the work that your job requires. This includes asking how long they have been working in property management, whether or not it is their only job, and how large their previous properties have been. Not all property management jobs are going to be the same, of course, so someone who managed an apartment complex will have different skills than someone that managed an office complex or shopping mall. 2. Do They Have the Correct Education? While college and graduate level education is a plus, it is not always the most relevant education for a property management role. In fact, property management credentials can often be more important than a college degree. This is especially relevant for more senior roles, where candidates could be 10 or more years removed from college. Be sure ask candidates how their education relates to the role and how it will be applied. Furthermore, ask them if they plan to continue their education through organizations like BOMI or IREM. If they do not have any professional credentials, ask them why and if they plan to pursue them in the future. 3. Do They Understand Basic Landlord-Tenant Law? This one is essential. There’s no getting around the fact that a basic understanding of landlord-tenant laws is crucial. Someone who doesn’t have this information is a liability and could cause huge problems down the line. This is especially important if your property manager is involved in the rental application process. Just because they seem professional, it does not guarantee they won’t ask a question that discriminates against an applicant. They must also understand the landlord’s responsibilities under the landlord-tenant law. Ask if they understand the federal fair housing laws, how to properly evict a tenant, and have a good understanding of all safety codes. These essential topics can keep property owners out of court and must be touched on during every interview. 4. What Are Their Salary and Benefit Requirements? Salary and benefit packages are always important to candidates, which makes them important to interviewers by default. Be sure to review your state’s average salary for property managers, and use it as a guideline. Ask about their expectations for vacation days, annual bonuses, and any other forms of compensation, like a company phone or car. If a candidate’s expectations are unrealistic, they should be cut from consideration. Last but not least, ask every candidate what questions they have about the job. 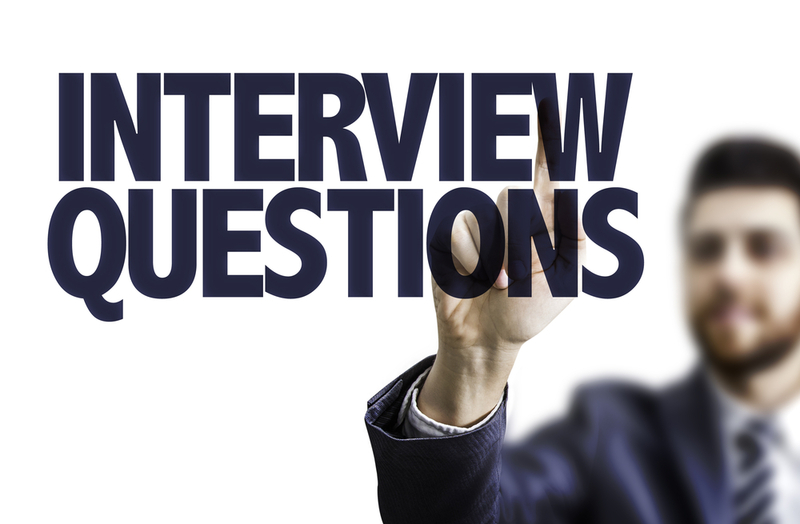 Candidates should be prepared for their interview and ask questions that go beyond the mundane. If a candidate does not have at least one or two well thought out and prepared questions, they might not be serious about the opportunity. These property manager interview topics should set you on the right path to finding a good employee. While they do not eliminate bad hires, they definitely reduce the chances of making one. Remember to study a candidate’s behavior during the job interview and determine if they are someone you can trust. While they might talk the talk, that does not mean they are telling the truth. Unfortunately, candidates are more likely to lie during the interview, than tell the truth. As a result be sure to review their references, check their employment history, and verify any professional credentials listed on their resume. If all these things check out, and you touch on the four property manager interview topics above, you are more than likely going to make a great hire! What Are On Demand Apartment Amenities?